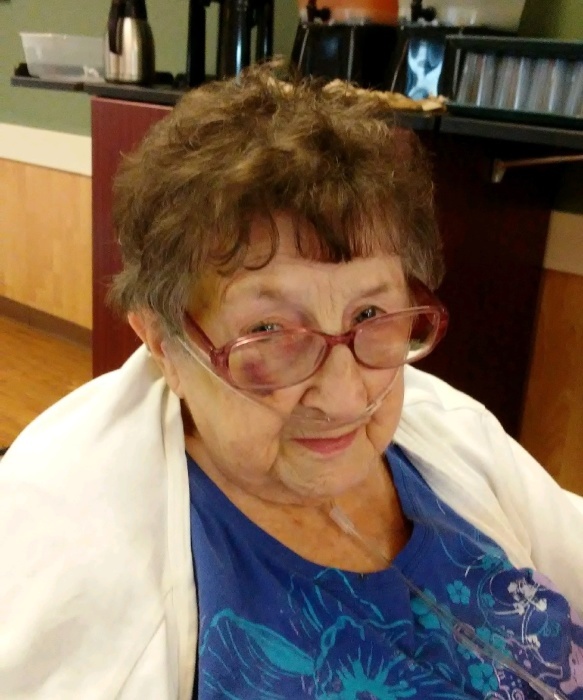 Janis M. Nance, 88, of Peru passed away on Tuesday April 9, 2019 at Autumn Ridge in Wabash, Indiana. She was born in Columbus, Ohio on August 6, 1930 to Edward and Margaret (Cohagen) Roche. She retired from Smith Brother’s Warehouse. She is survived by her sons, Philip (Michelle) Nance of Peru, and Dale (Bobbie) Nance of Columbus, Ohio; as well as grandchildren: Erik Myers, Tyler Nance, Heather Kidwell, and Michele Nance; and great-grandchildren: Mitchel Myers, Megan Shepard, Katie Shepard, Maya Kidwell, Kaylee Nance, and Deven Thorpe. Also surviving is a sister, June Stambaugh of Columbus, Ohio. She was preceded in death by her parents, brothers Eddie Roche and Jack Roche, sister Joan, and grandson Brandon Nance. Visitation will be held from 11am – 1pm on Friday, April 12, 2019 at Flowers-Leedy Funeral Home, 105 West Third Street, Peru, Indiana. Funeral service will follow at 1pm, with Pastor Bette Thompson officiating. Burial will take place at Greenlawn Cemetery in Mexico, Indiana. Memorial contributions may be made to the funeral home to assist with funeral expense.